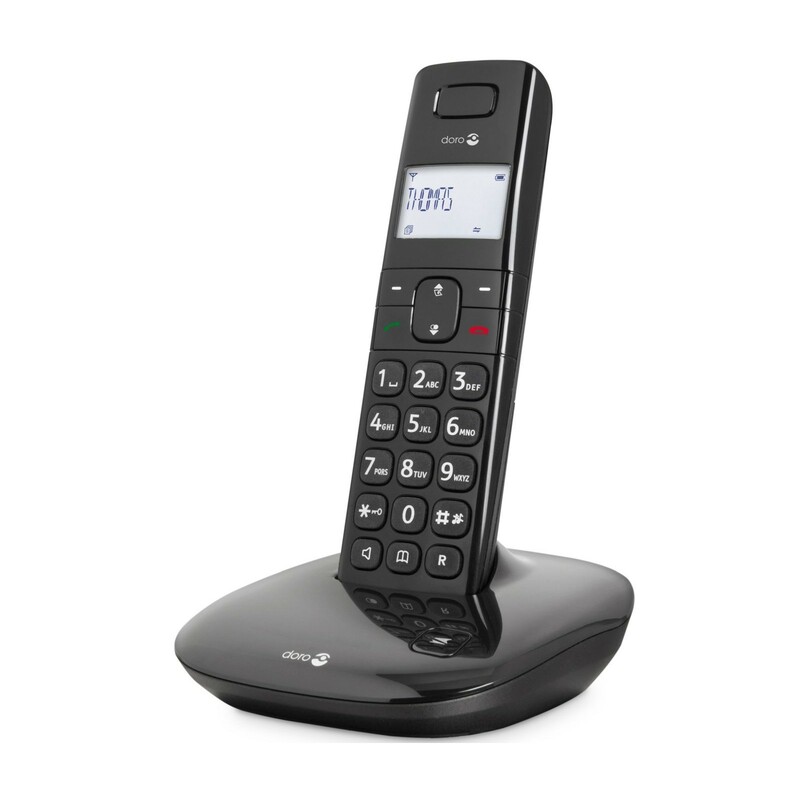 The Doro Comfort 1010 is a cordless telephone which looks stylish, provides high quality sound reproduction and offers exceptional ease of use. It combines a user-friendly backlit display with large buttons and intuitive menus, while the phone book provides enough space for up to fifty entries. In spite of its low cost, the Doro Comfort 1010 offers excellent sound clarity thanks to Doro's own TrueSound technology. 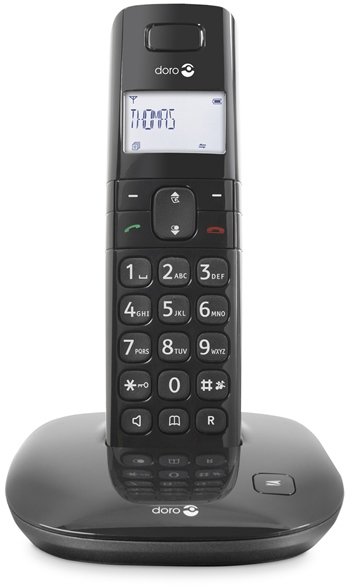 It delivers a maximum volume of up to 24dB, making it ideal for those who are hard of hearing, and the comfortable handset, combined with its large and clearly labelled buttons make it easy to use. For those longer conversations, the speakerphone may be activated at the touch of a button for comfortable, hands-free phone calls. The Doro Comfort 1010 includes a high-contrast LCD display with large characters and backlighting for ease of use even in poorly lit surroundings. Caller ID is also enabled on this phone, so that you can always see who is phoning you. Entering names and phone numbers in the included address book is a breeze, and the display also shows the last incoming answered and unanswered phone calls, along with the time and date. Offering a range of up to 50 metres and a battery life with a maximum talk time of 10 hours and a standby time of up to 100 hours, the Doro Comfort 1010 allows you to take calls anywhere in your home without having to worry about interruptions due to drops in signal strength. Larger households can even use up to six separate handsets per base station. With its louder speaker and ringer, combined with large buttons and high-contrast display, the Doro Comfort 1010 is best suited to elderly users and those who are hard of hearing. I was looking for something basic, easy to use, and with good sound that wouldn't cost an arm and a leg. The Doro Comfort 1010 fits the bill perfectly. Really good phone and me and the wife are very pleased with it! Can highly recommend.